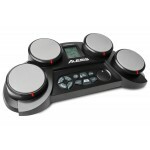 The Alesis CompactKit 7 is a tabletop electronic drum kit with seven velocity-sensitive pads that de.. 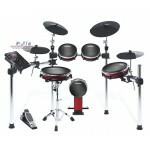 This 8-piece electronic drum kit features all mesh-head pads that deliver an authentic drumming expe.. 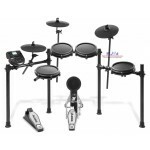 The Alesis Surge Mesh Head Kit is a complete 8-piece electronic drum kit featuring dual-zone mesh he.. 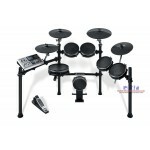 The Alesis Nitro Mesh 8-Piece Electronic Drum Set delivers the most realistic playing experience for.. 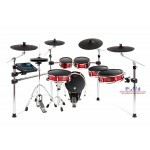 The Alesis Crimson II Kit is a 9-piece electronic drum kit featuring exclusive Alesis mesh drumheads.. 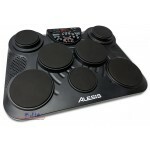 The 6-piece Alesis Strike Pro blends the convenience of electronic drums with the look and response .. 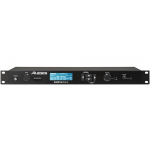 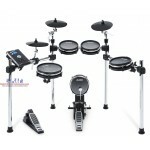 The 5-piece Alesis Strike blends the convenience of electronic drums with the look and response of a.. 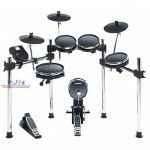 The DM10 Studio Kit Mesh is a 6-piece electronic drum set with mesh drum heads that delivers unprece.. 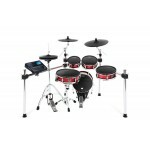 The Alesis CompactKit 4 is a tabletop electronic drum kit with everything a young drummer needs to s..